Our volunteers at GCP play a vital role. Without volunteers we would be unable to offer such a range of services and we couldn't survive without people who generously volunteer their time, who ensure that we are able to respond to the needs of all the different members of our community. We hope that volunteering is a rich experience for all our volunteers and strive to give volunteers an opportunity to develop their skills, gain some experience, and facilitate meaningful relationships within our community. Please see below for volunteering opportunities currently available with Govan Community Project. 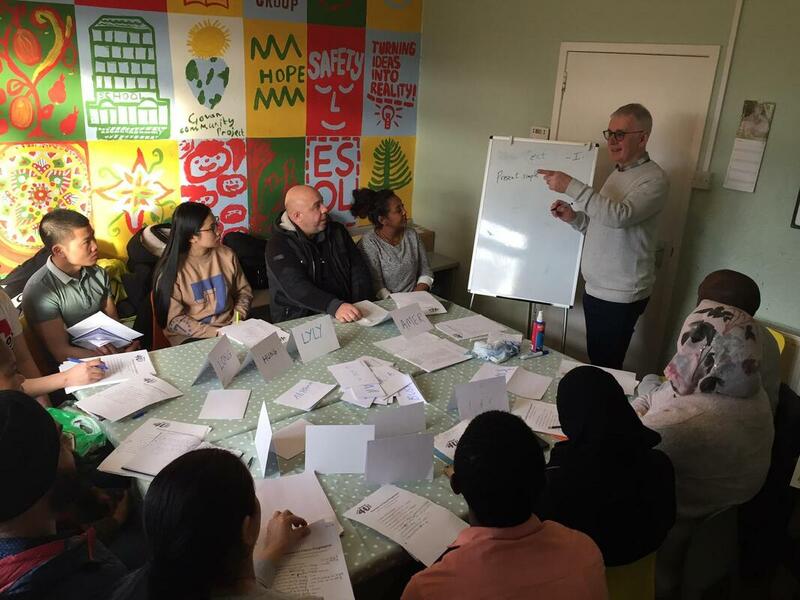 We are looking for ESOL volunteer teachers to support the delivery of English language drop-in classes at our Community Flat in Cardonald. Classes run on Monday and Thursday mornings from 9:30-11:30am. We are looking for volunteers to help prepare food, provide childcare and chat with the women at our Women's Group. Each week the women come together and share food, have discussions, and participate in different activities. We are looking for homework club volunteers to help children with homework, reading, writing and researching, while also supporting parents. Our Homework Club runs on Mondays and Wednesdays from 16:00 - 18:00.